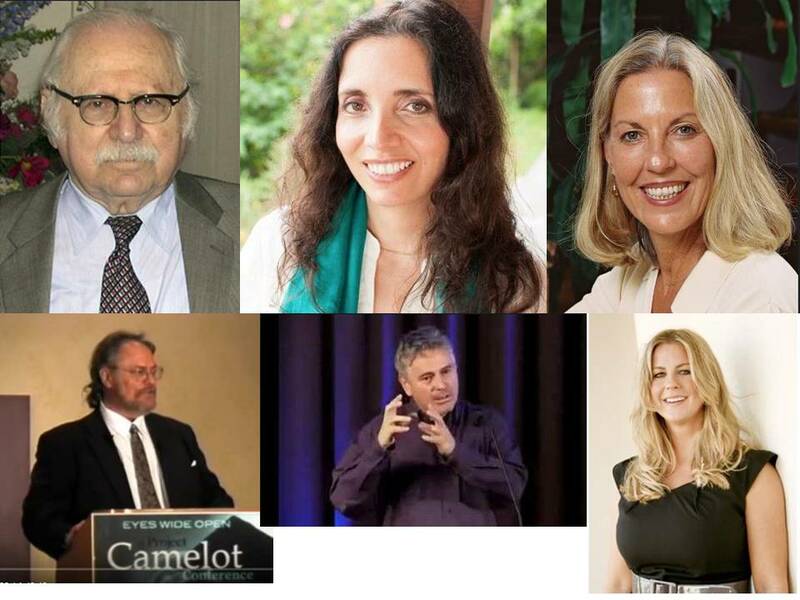 Photos of my fav sources of “enlightened information”, clockwise from the upper-lefthand corner: Zecharia Sitchin, Inelia Benz, Barbara Marciniak, Christie Marie Sheldon, Michael Tellinger and Alex Collier. * Inelia Benz’s blog, www.Ascension101.com. Inelia has been one of the most readable authors and lightworkers that I’ve been following for the past two years. She has written a simplified but informative primer on “how to ascend” and two books (Interview with an Alien and Interview with a Psychic Assassin) on her encounters with multidimensional beings. She has videos also on YouTube on Ascension and a host of topics that are mighty helpful for lightworkers, shamans and ordinary but spiritually-inclined readers. * Another good read is Alex Collier’s book, “Defending Sacred Ground”, http://www.alexcollier.org/alex-collier-defending-sacred-ground-1996.pdf. The book talks about a host of interesting topics, such as the “real history of the Earth”— the creation of MAN from the collated DNA of 22 different extraterrestrial races over millions of Earth years, and how the Zenetae people of the Andromedan galaxy revealed to him the true nature of 3D reality. And of course not to be missed, the story of the Reptilians (we call them Rs for short) – who are they (beings from a world near the Sirius constellation), how they terra-formed the Earth and created Man as a “hybrid” from their genes and that of early man who was seeded in Terra earlier by another, more benevolent race of extraterrestrials, etc. ; and how to fight back against non-benevolent extraterrestrial races. * Barbara Marciniak’s “Bringers of the Dawn”. A long treatise (now available as an e-book) from the perspective of Pleiadan emissaries to Earth on the advent of “lightworkers” on Terra who will help usher the “ascension” of the planet to a higher dimensional plane, as well as lessons on how to work to become a 5th dimensional being. (I am still looking for a good copy of this book online. Check here later for the copy). *Michael Tellinger’s video, “Temples of the African Gods” talks about an ancient race of giants on the earth, the Annunnaki, who did genetic manipulation of Early Man’s genes intermixed with their alien DNA, leading to a new “slave race of humans” working the gold mines of Africa for the Annunnaki: https://www.youtube.com/watch?v=gcD1h9DYitg . Interesting read, particularly when it’s been told that due to carbon-dating the site of such mining, this could have happened almost 500,000 years ago! How about you? Do you have a favorite e-book as well? This entry was posted in ascension, Healing, interdimensional communication, multidimensional communication, PSI capabilities, remote viewing, self-empowerment, Spirituality and tagged Agent Buried Alive, Alex Collier, Annunnaki, Ascension, ascension process, Ascension101, Barbara Marciniak, Black Ops, Bringers of the Dawn, Christie Marie Sheldon, Defending Sacred Ground, Exopolitics community, Exopolitics Hongkong, Inelia Benz, James Casbolt, Karma & Reincarnation, Lightworking, Michael Tellinger, Temples of the African Gods, The Powers That Be, TPTB, UFOs, Zecharia Sitchin. Bookmark the permalink.